With NYFW just around the corner, Press Pass LA had the chance to sit down with celebrity stylist and fashion expert Daniel Musto to learn more about his SUPERSTAR fashion career! Musto is a celebrity stylist, fashion expert, creative director, and television personality who has appeared on NBC’s Fashion Star and Eva Longoria’s Ready for Love and has styled some of Hollywood’s hottest stars! His celebrity clientele includes Jenny McCarthy, Paula Abdul, Ashlee Simpson, Paris Hilton, Giuliana Rancic, Karina Smirnoff, Kendra Wilkinson, and Louise Roe, to namedrop a few! Daniel’s work has appeared on American Idol, XFactor, and America’s Best Dance Crew. He has also styled runway shows for fashion designers John Varvatos, Jessica Simpson, and Nicole Richie. You can also watch him as the on-camera trend expert for fashion & beauty site Joyus.com. We were lucky enough to snag an exclusive inside look at his life just as awards season and fashion weeks worldwide take the industry by storm! PPLA: You are in such a competitive industry. Careers in Fashion are THE most sought after. What is your inspiration to keep going? DM: When I hear from fashion students and young people around the world telling me that I am their inspiration… that’s what keeps me going. PPLA: When did you know you wanted to pursue a career in fashion and who did you look up to in the industry growing up? DM: I realized that there were careers in fashion when I was responsible for designing and making 50 dance costumes in high school. I felt that I needed to be compensated for my work, and finally realized that some people actually are! PPLA: Tell us about a project that you are most proud of. DM: I loved when I was able to bring a young high school student from Queens to New York Fashion Week for the front row celebrity treatment. I made her over and was overjoyed with her response to the experience. PPLA: You are still fairly young (this is a good thing :)). How did you arrive at such success? DM: Every time I’ve done a great job, I’ve also been nice to everyone and made friends along the way. It takes a village to reach success, and luckily I have a village that is jam-packed with awesome people. PPLA: Who do you hope to work with that you have not yet? DM: I would love to dress Britney. PPLA: What has been your most challenging project and how did you overcome it? DM: NBC’s Ready for Love was just as hard as all styling projects, except the hours were endless. As a creative person, I need my sleep, and without it, jobs are TOUGH! PPLA: When did you begin a career in Fashion Journalism and how has it helped you as a Fashion Stylist? DM: I started writing for publications like Cosmopolitan, Us Weekly, Huffiington Post, and more about 18 months ago. It gave me the opportunity to spread the knowledge that I have absorbed along my journey. It definitely gives me some “street cred” in the business, but at the end of the day, its all about the styling. 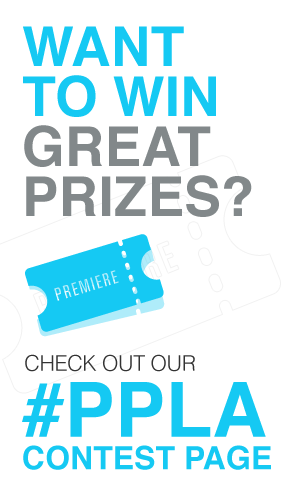 PPLA: What has been the most rewarding part about your career? DM: Not only hearing from those who believed in me, but from the nay-sayers, as well. Seeing that everyone in my life is impressed and proud of me is priceless. PPLA: Tell us about any quirks, “isms,” habits, phobias, etc that you may have. DM: I drive a LOT for work, and I LOVE music… but my OCD kicks in when the number level of my volume always has a be an even number. PPLA: What do you hope to leave behind as your legacy in Fashion and in the world? DM: I hope that there are thousands of Daniels walking this earth when I leave it. I want there to be more stylists than the industry knows what to do with… all cuz of ME!